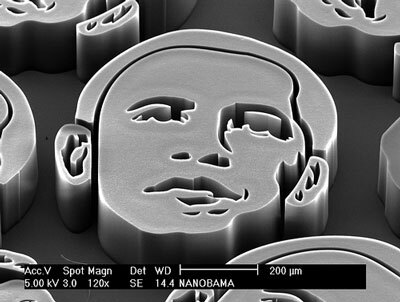 (Nanowerk News) University of Michigan professor John Hart has made faces of Barack Obama using nanotechnology, specifically carbon nanotubes, and imaged them using a scanning electron microscope. 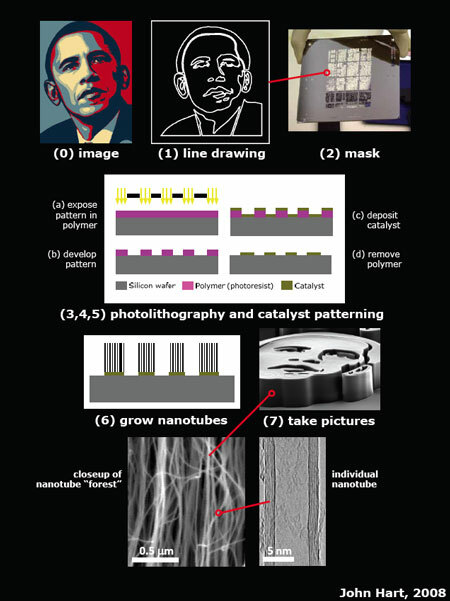 Each face consists of millions of vertically-aligned carbon nanotubes, grown by a high temperature chemical reaction. Hart has uploaded a series of his CNT images on Flickr.